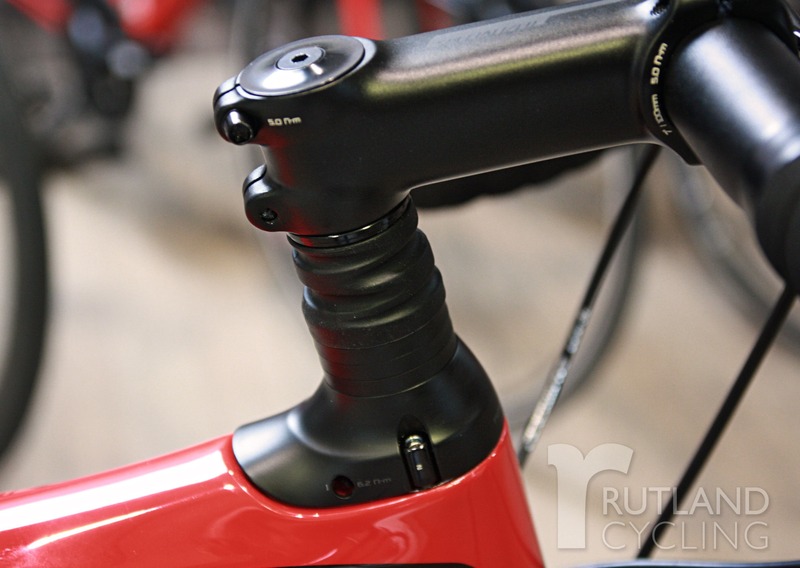 In 2017, Specialized completely redesigned the Roubaix range, out with the Zertz inserts and in with the a suspension damper located in the head tube, "Future Shock". Future shock absorbs the bumps and cobbles allowing for a smoother ride with up to 20mm of travel that can be adjusted to suit different riders weights. Future Shock continues to redefine the genre of endurance road bikes, and push the boundaries of what riders can achieve. The Roubaix has an enviable reputation as a performance endurance machine, as you may well expect with a name borrowed from one of the toughest races on the pro calendar. Used by professionals like Tom Boonen to nullify the impact of cobbled roads and ensure comfort over long races, the Roubaix range is equally well equipped to tackle questionable British road surfaces and would be the ideal partner for a long sportive season. The 2017 Roubaix frame was amongst the lightest that Specialized have ever made, whether that be the FACT 10r carbon fibre of the Elite, Comp and Expert models to the top-level FACT 11r carbon of the S-Works bike, and it’s the same story for 2018. That technology has also trickled down in the FACT 9r carbon frame, which you’ll find the entry level Roubaix and Sport models. Now prevalent across Specialized’s road range, Rider-First Engineered design is employed to ensure every bike handles exactly as it should – no matter what the frame size. As was the case for the 2017 range, the stand out feature on the Roubaix is the Future Shock headtube design. Essentially, this is an independent piston in the headtube that provides 20mm of travel - just enough to maintain speed and comfort on rough terrain. According to Specialized, it outperforms anything on the current market – and after a quick ride, it’s easy to understand that claim. 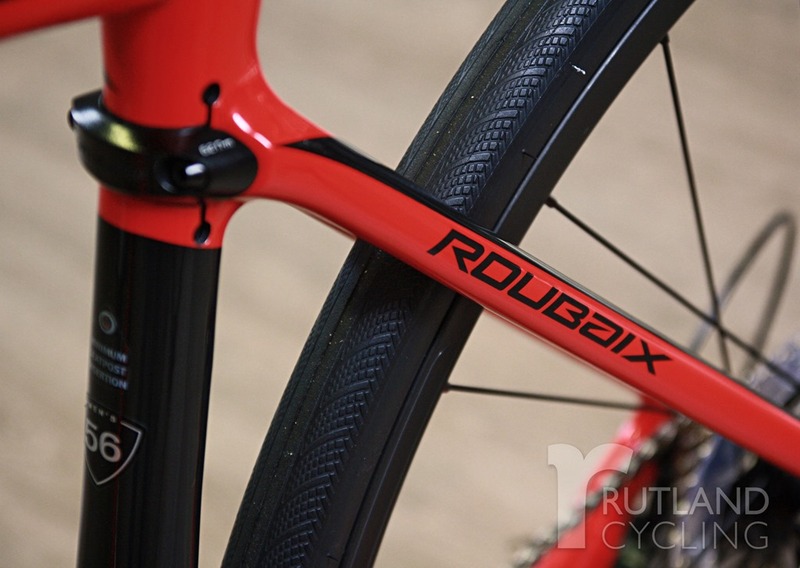 The ride position favours the endurance rider but for 2018, the Roubaix range is slightly more aggressive than the 2017 range with a 7mm lower stack. You can still replicate the 2017, more upright position if this is more to your riding style. Specialized have favoured the Japanese brand Shimano for their 2018 Roubaix range; starting off with the 105 groupset for the base model, going all the way up to Dura-Ace Di2 at the top end. 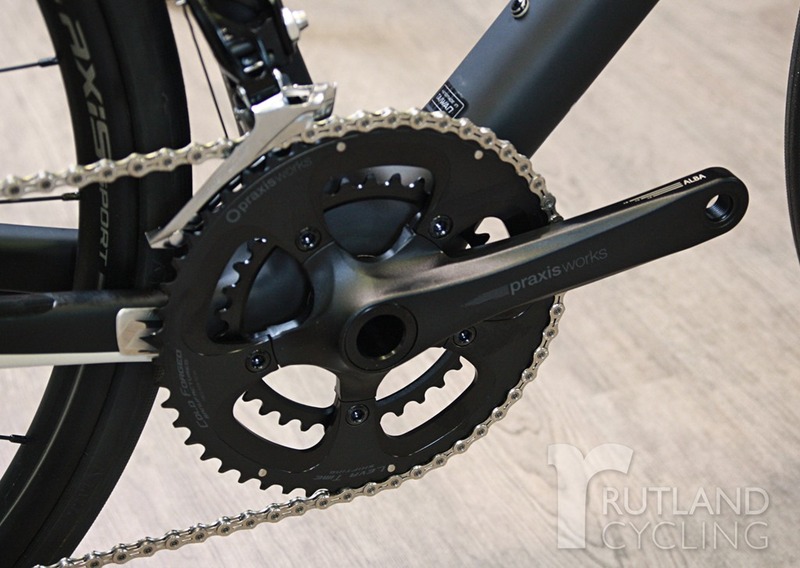 The Roubaix model comes with 20 gears whilst all other models feature 22, both perfect for tackling those tough climbs on even tougher terrains! Specialized have chosen to stick with disc brakes for the Roubaix 2018 range, both mechanical Tecktro and hydraulic Di2 disc brakes feature throughout the range. Disc brakes give you more control when braking, helping you to feel safer on those steep, unknown descents. 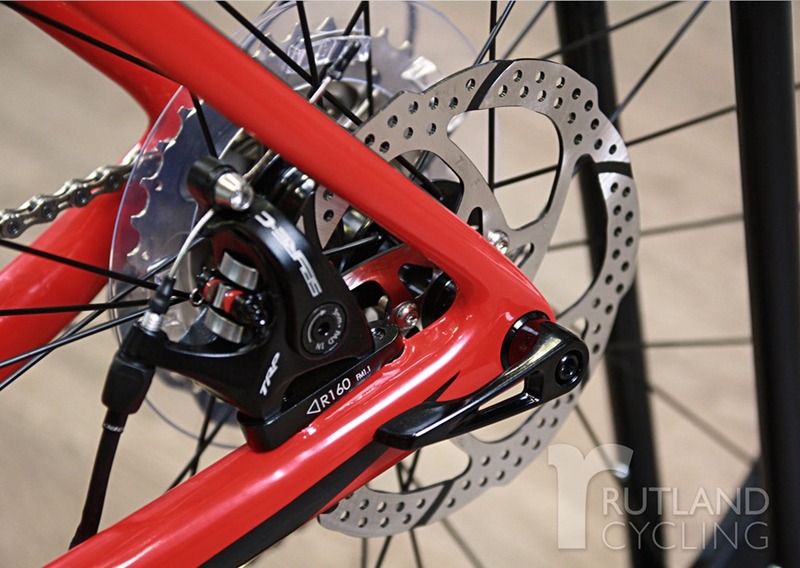 Find out more about disc brakes here. The range is built with versatility and wide tyres in mind. Axis Sport wheels are provided on both the Roubaix and Sport models, and shod with wide 28mm tyres for added comfort. Smooth is fast. Specialized's Roubaix Expert Ultegra Di2 2018 combines performance FACT 10r carbon fibres with a Shimano Di2 groupset, and revolutionary Future Shock technology to create one of, if not the best endurance focused racing bikes. Shock technology to give you a super smooth ride, therefore, a fast ride! The all new Roubaix frame is one of the lightest Specialized have ever made and is constructed from FACT 10r carbon fibres. Its stiffness levels are higher than before, you'll experience a faster, more efficient package. Smooth is fast. Specialized's Roubaix Elite combines a great frame with revolutionary Future Shock technology to give you a super smooth ride, taking all rough roads in its stride. This model also comes in black. The Specialized Roubaix is has done an excellent job in getting high performance out of a bike while still keeping good value. The Roubaix will keep delivering the goods throughout long tough rides. The extremely light FACT 9r carbon fibre frame is what you get with the Roubaix 2018, giving you fantastic levels of stiffness while also featuring a new, faster and more efficient geometry. The Roubaix gives you a spec to excite, Shimano Tiagra shifting, Tektro Spyre mechanical disc brakes and Axis Sport disc wheels. Pop into one of our stores or view the full range online here.